Your iPhone displays “Update Apple ID Phone Number” and you have no clue why it’s doing that. Each time you see your iDevice, this notification appears. 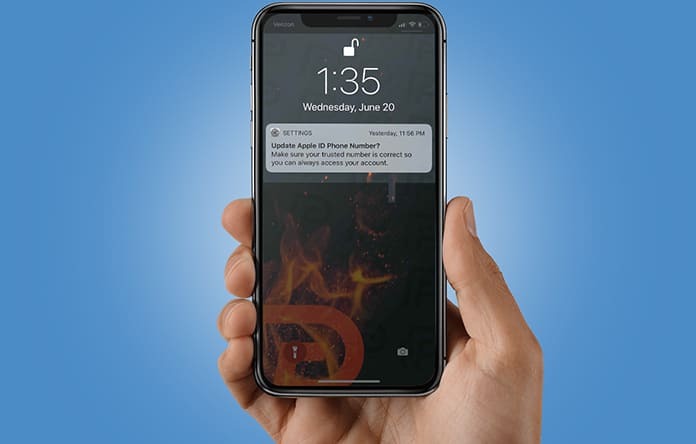 In this post, we’ll tell you what “Update Apple ID Phone Number” means for an iPhone owner and reveal how to get rid of this notification. What Does “Update Apple ID Phone Number” Mean for iPhone Users? 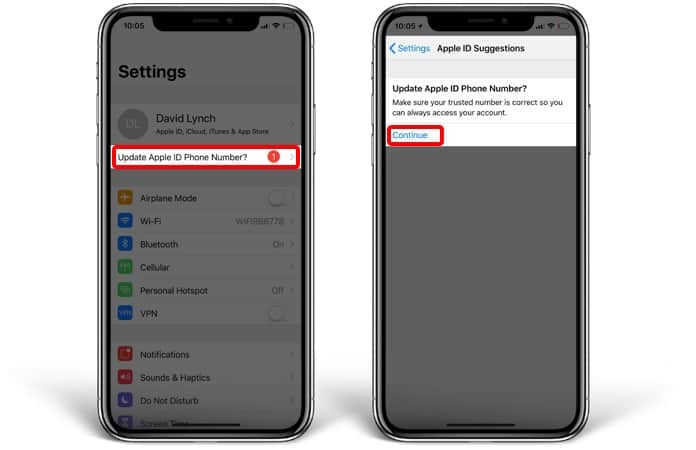 When iPhone displays “Update Apple ID Phone Number” – it means Apple is reminding you to ensure the phone number connected to your Apple ID is up-to-date. If it’s an invalid or wrong number, there’s the risk that you can lose your account. One of UnlockBoot’s readers saw this notification shortly after he installed iOS 12, so this could just be a gentle reminder that iPhone users need to keep tabs on their Security settings as the next big iOS update is going to be released soon to the public. To ensure your Apple ID number is updated, launch Settings, tap “Update Apple ID Phone Number”, and select “Continue”. Once you do, a new menu will appear asking if your default number has changed. If you’re using a new phone number, select “Change Trusted Number”. If you’re using the same old number, choose “Keep Using (Phone Number)”. We’re sure that a lot of people reading this article are still using their old number, so this notification can be removed by choosing “Keep Using (Phone Number”. If you’ve bought a new number recently, and you tap “Change Trusted Number”, you’ll receive a prompt to enter those digits in a brand new screen. Can You Update Apple ID Phone Number Again? Yes, Apple enables you to update your Apple ID security settings multiple times. To update Apple ID phone number, go to Settings and tap the name of your Apple ID at the screen’s top. Then select “Password & Security”. Next, tap “Edit” besides “Trusted Phone Number” and select “Add a Trusted Phone Number. The next step is to enter your passcode, and enter the new Trusted number. Lastly, choose “Done”. 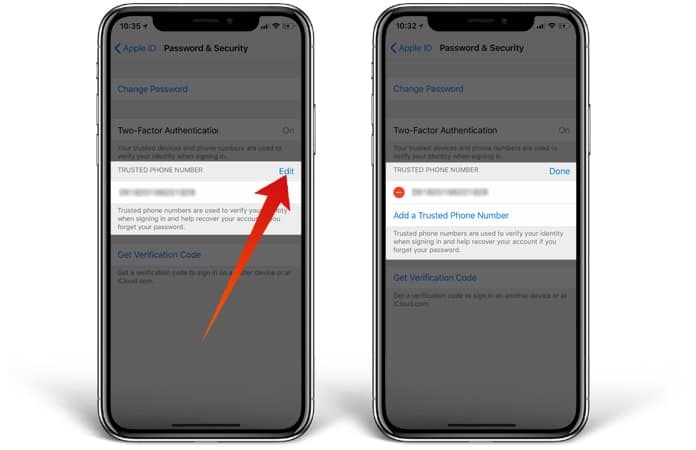 Now you’re aware why the iPhone states “Update Apple ID Phone Number” and how the notification can be removed by entering Trusted Phone Number. If you have any other questions about Apple ID security settings, feel free to ask in the comments section below.